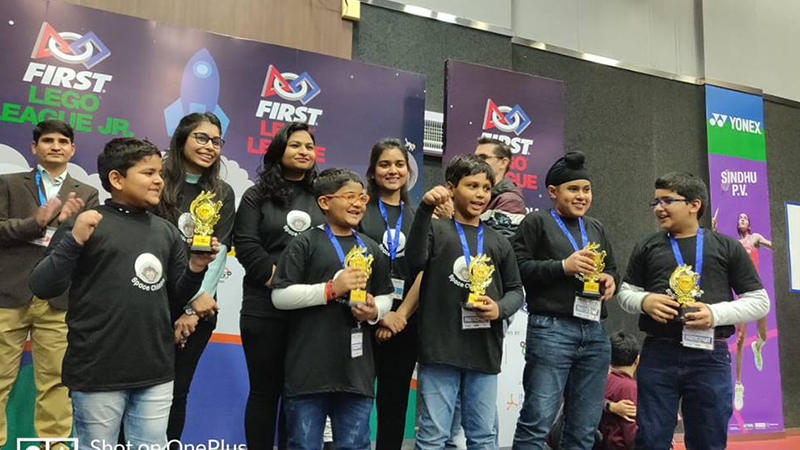 Yatharth Singh of Grade II; Svanik Goel of Grade III; Gunnmay Marwah; Ojas Singh; Savya Chopra and Harkirat Singh (Grade IV Students) made their mark at Junior First Lego League held at MRIS 14, Faridabad. Around 40 schools of Northern region participated in the league. MRIS-14 students were applauded and appreciated for their project Mission Moon which depicted the use of cyanobacteria and urine purification plants for future space exploration on moon.